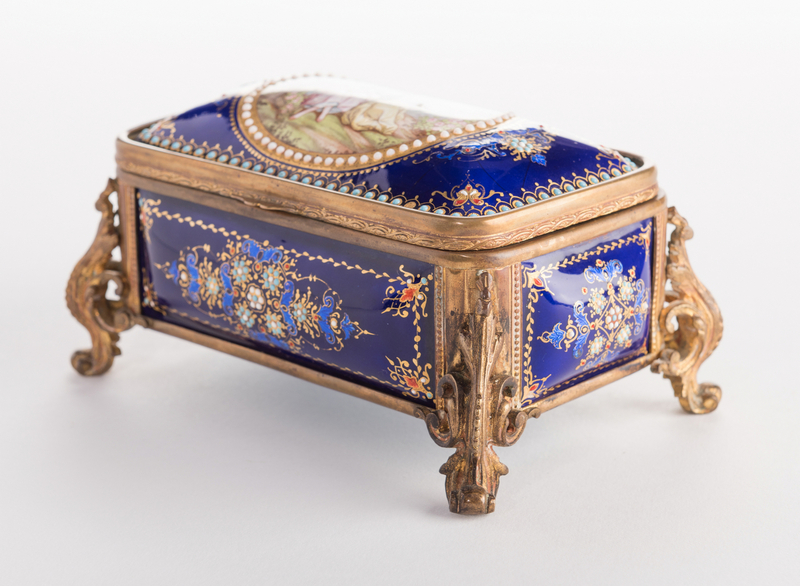 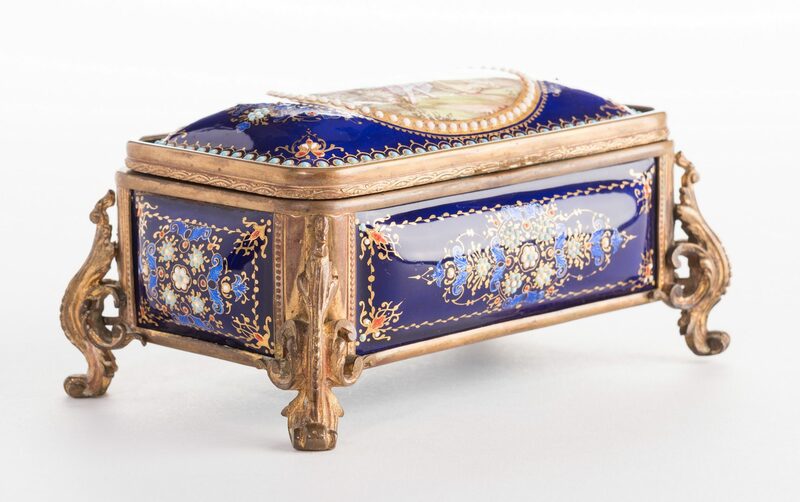 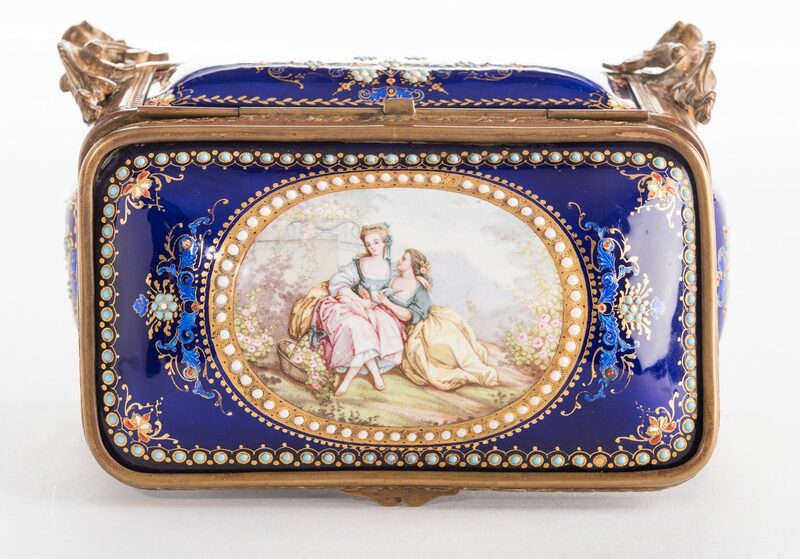 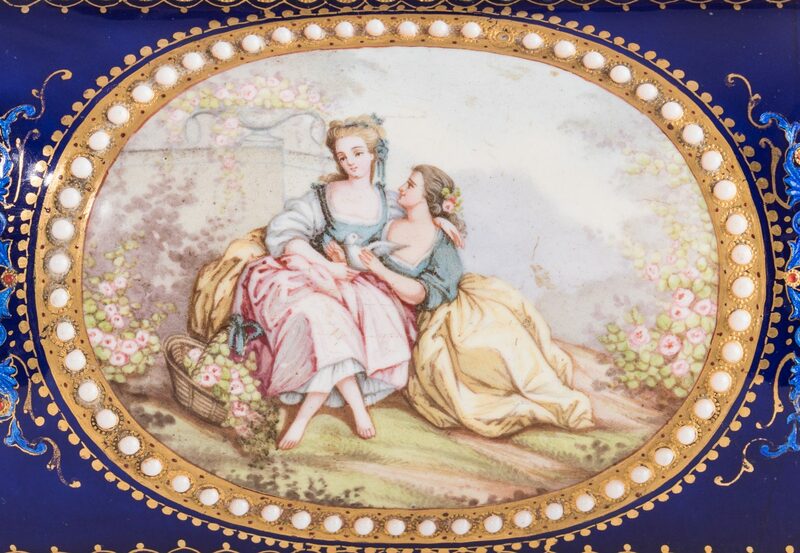 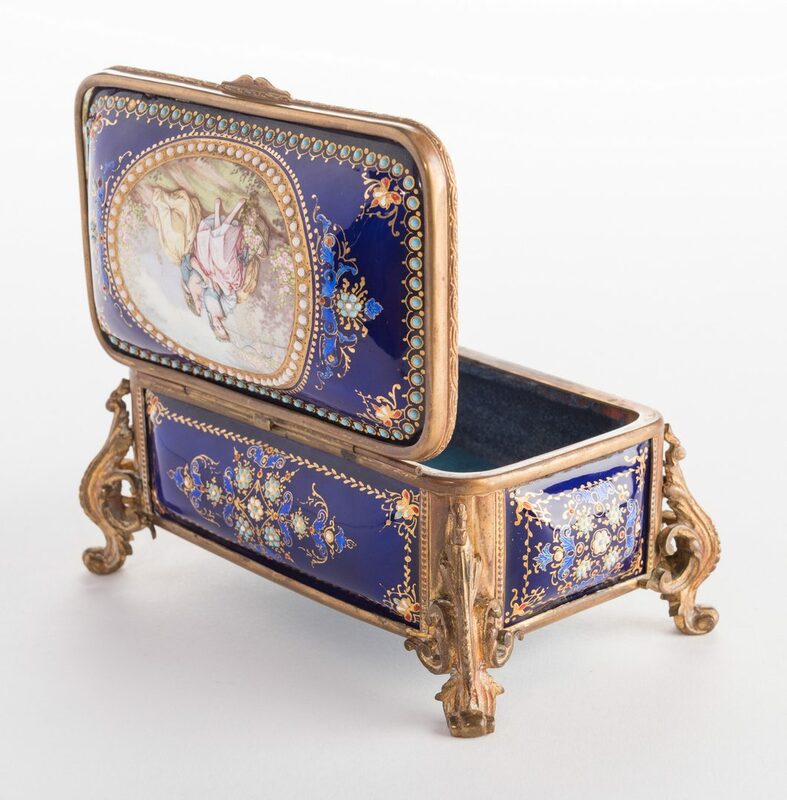 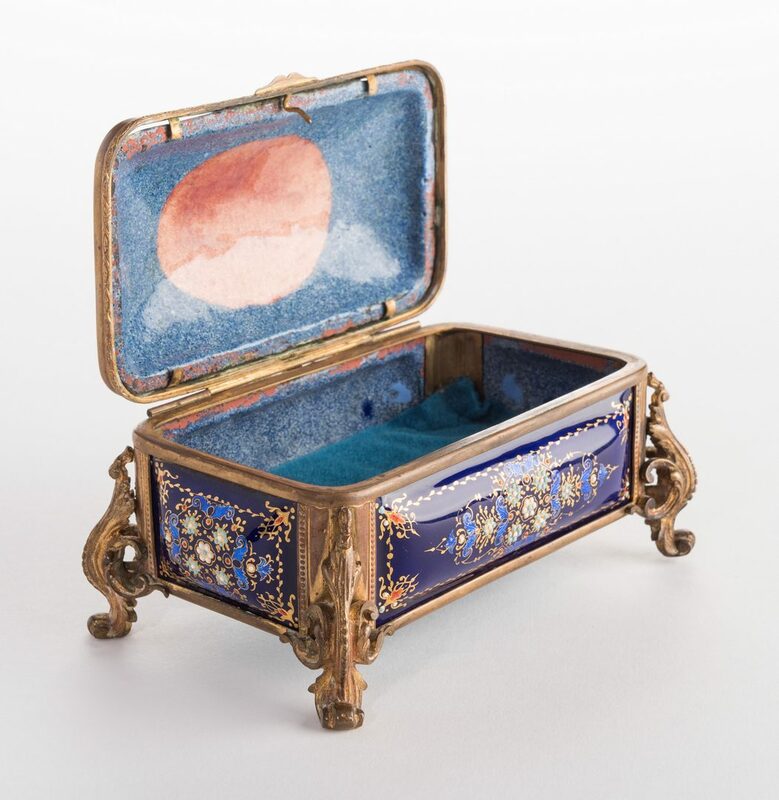 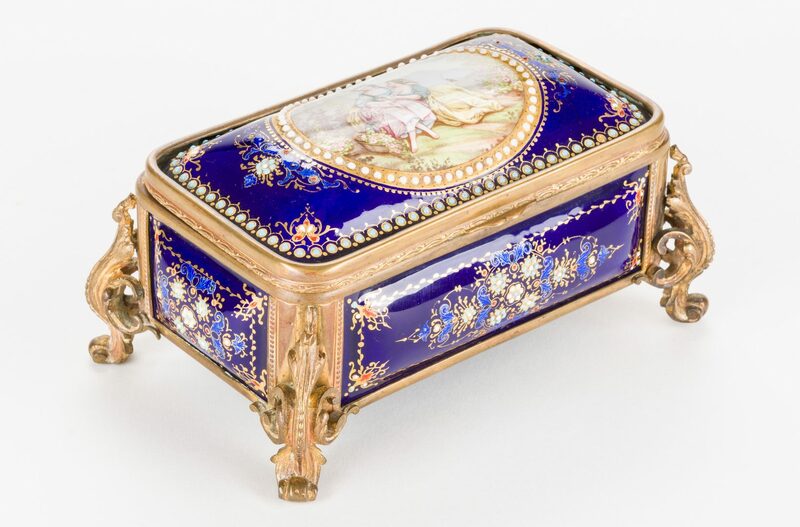 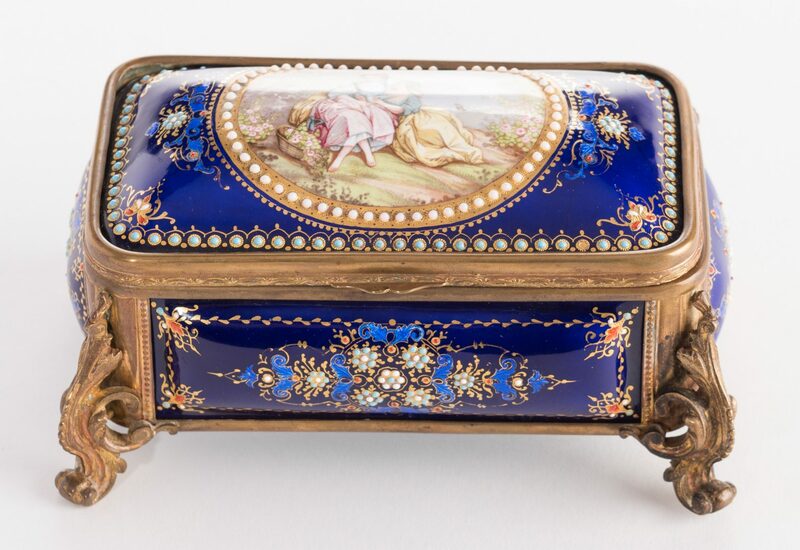 Lot 44: French Gilt Bronze Enamel Box, 19th c.
You are here: Home >> August 5, 2017 Historic Summer Auction >> Lot 44: French Gilt Bronze Enamel Box, 19th c.
French gilt bronze and blue enamel trinket box with convex sides and ormolu mounts, hinged lid with hand-painted cartouche of two maidens in garden setting, Louis XIV style c-scroll supports. 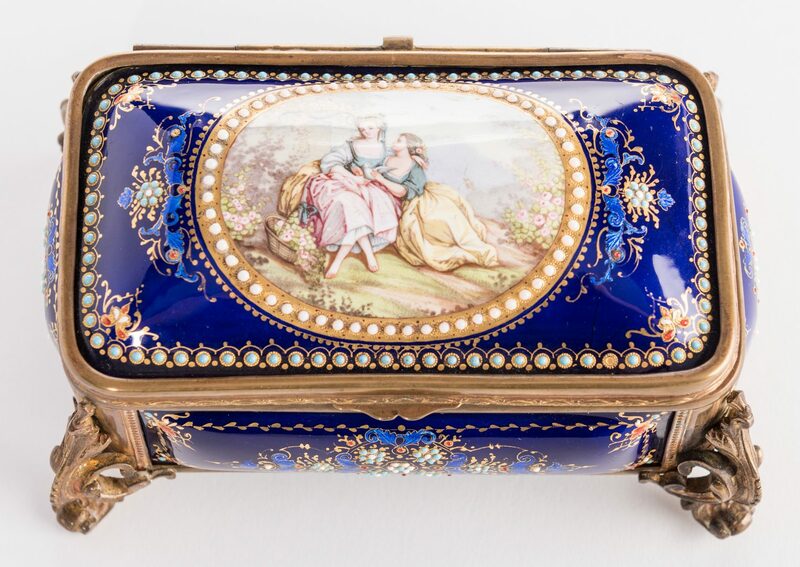 3-1/2" H x 6" W x 4" D. Third quarter of the 19th century. 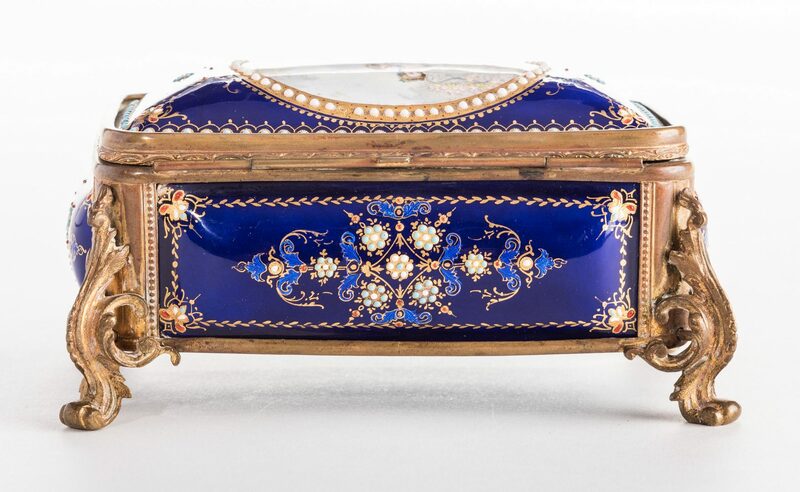 CONDITION: Decoration in very good condition. Some wear to gilt ormolu. 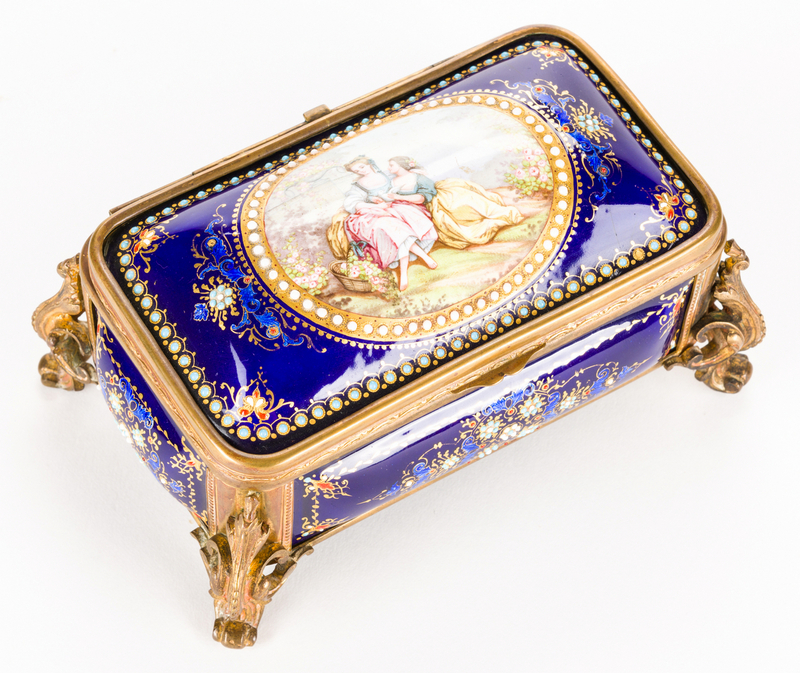 Bottom of box replaced.